Yesterday I posted about a festival I went to twenty years ago. 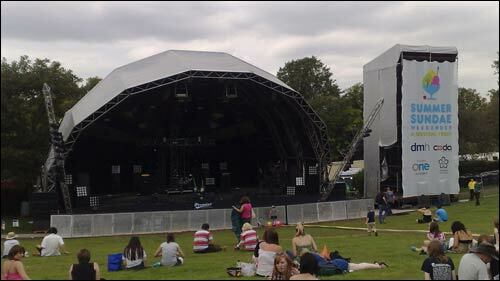 Today it is the turn of one I went to less than two weeks ago, Leicester's Summer Sundae. 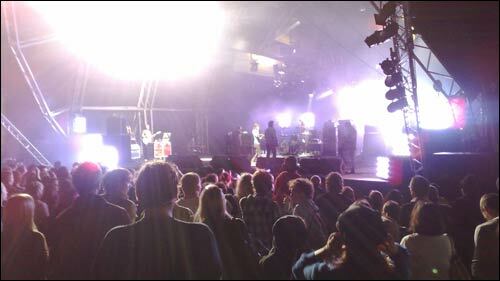 It was my first trip to that particular festival, which is held in the grounds of the De Montford Hall, and which this year was due to be headlined by The Streets, The Charlatans and The Zutons. 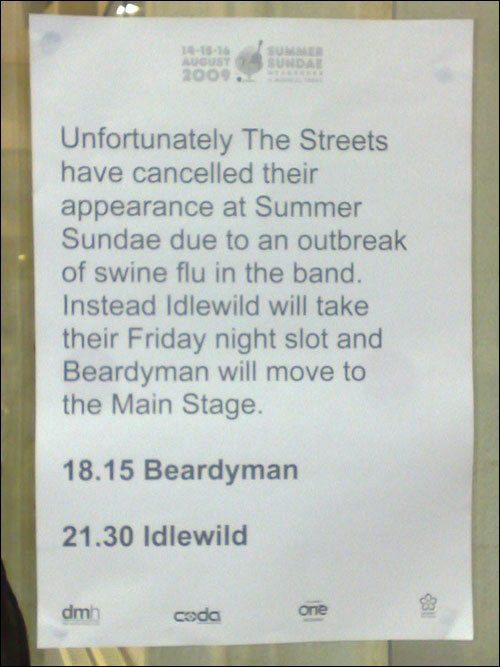 I say 'due to be', as on the Friday The Streets had to pull out because of a bout of swine flu, and instead one of my favourite bands, Idlewild were promoted in their stead. One thing that stood out for me in contrasting festival experiences between 1989 and 2009 was the vastly different way I accessed music in advance to decide who I wanted to see. In 1989 at Reading I already knew most of the bands on the bill, and this was almost exclusively due to hearing them on the radio. And, given the era and the genre, that almost exclusively meant that the late much lamented John Peel had played their records on Radio One. For this year's Summer Sundae, the paths to listening to the music were much more varied. Some of the established bands I knew, but many of the acts are local to the Leicester music scene, and it was only by sampling their music online that I was able to plot which acts I wanted to see. It is interesting to see the different approaches the bands took to promoting their music at the festival - and the different price points involved. Becky Syson announced on stage that you could buy her CDs for £12.50 from the merchandise stall, but get them for £10 if you came up to her immediately after she finished her set. Other bands priced their CDs at around the five or six pound mark. Mr Plow was giving away a split 7" single for free on vinyl, and Minnaars have two EPs which can be downloaded directly from MySpace. The highlight of my festival, aside from Idlewild of course, were First Aid Kit. I was going to try and catch ten minutes of their set, then dash to another stage for ten minutes of Teitur, then dash indoors for the end of Chairlift. 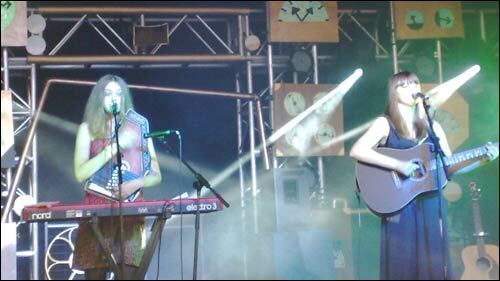 First Aid Kit were so spellbinding that I ended up staying for their entire set. With the benefit of hindsight the band I wish I'd most seen was Monotonix. Hailing from Tel Aviv, and apparently giving a passable impression of what a rock band led by Borat would be like, they set their instruments up in amongst the crowd. Their show climaxed with their singer diving from the upper floor of the De Montford Hall into the crowd below, whilst wearing just some tiny pants. There are clips of it on YouTube. And yet they say that health'n'safety nazis are taking all the fun, danger and excitement out of things these days. By Martin Belam on 26 August 2009.